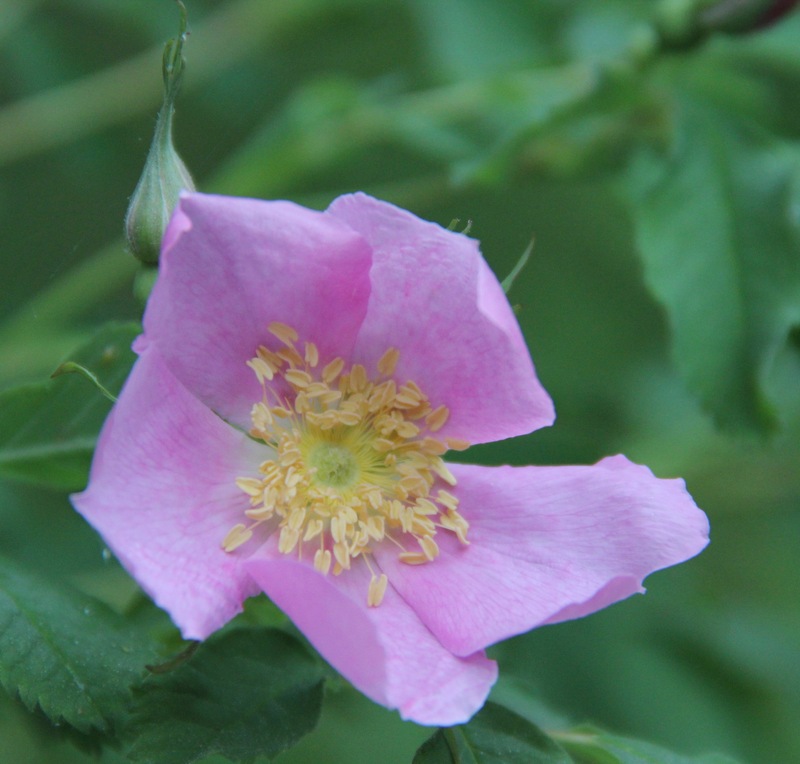 The first wild rose (Rosa blanda) of early summer. It is the season of light in the North. Earth bows its northern pole to the sun extending daylight to almost sixteen hours — eight more since winter solstice last December. Spring flowers are finished blooming, trees are fully covered in lush green leaves, and swelling buds on many perennials will open soon. Fireflies glow in the night. 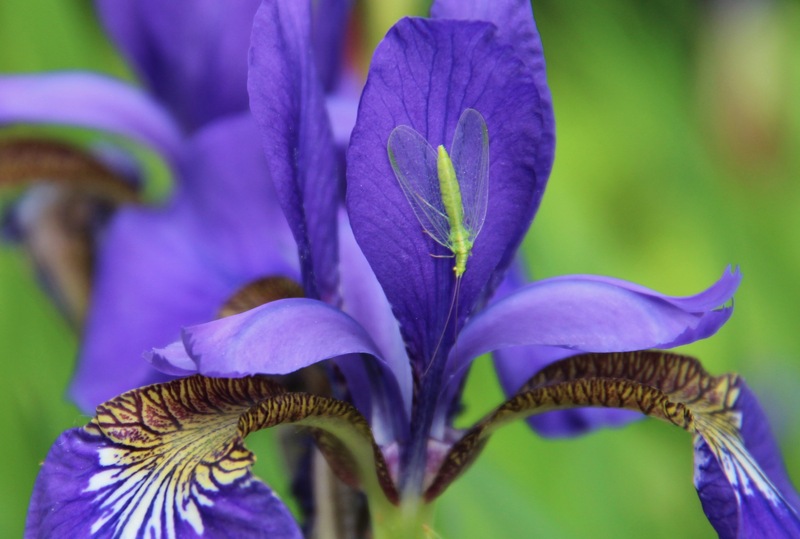 During the day, delicate lacewings, damselflies and dragonflies patrol the garden for pests. I spotted my first monarch of the season a couple of weeks ago when it visited our milkweed patch, which is almost ready to bloom. Solstice was mild and clear with a high of 76℉. I enjoyed the company of good friends for lunch at an outdoor restaurant. Later, I sat in our garden to soak up the late-afternoon sun’s warmth, to listen to the robins sing and to toast the long summer ahead. 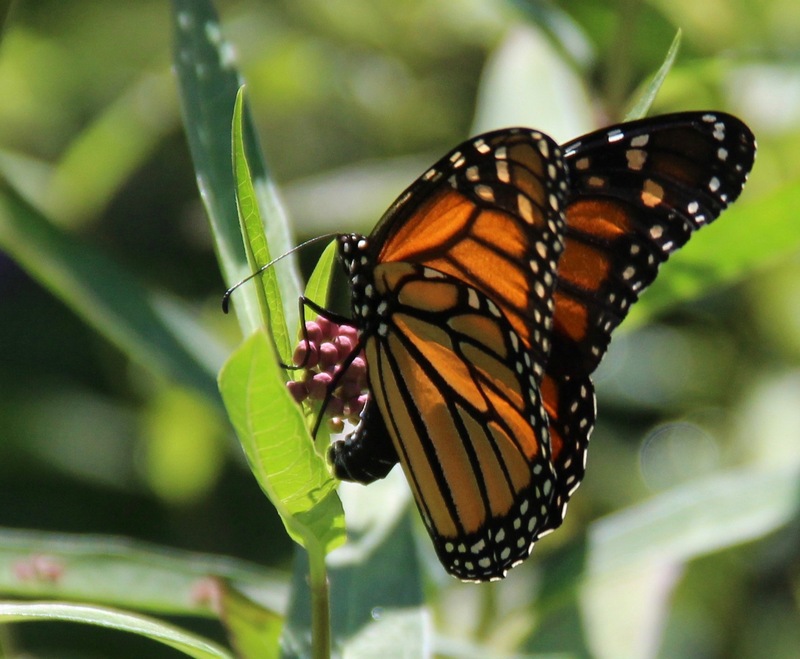 A monarch (Danaus plexippus) seeks nectar among the buds of swamp milkweed (Asclepias incarnata). Lacewings (Chrysoperla carnea) eat aphids, mites and other garden pests. 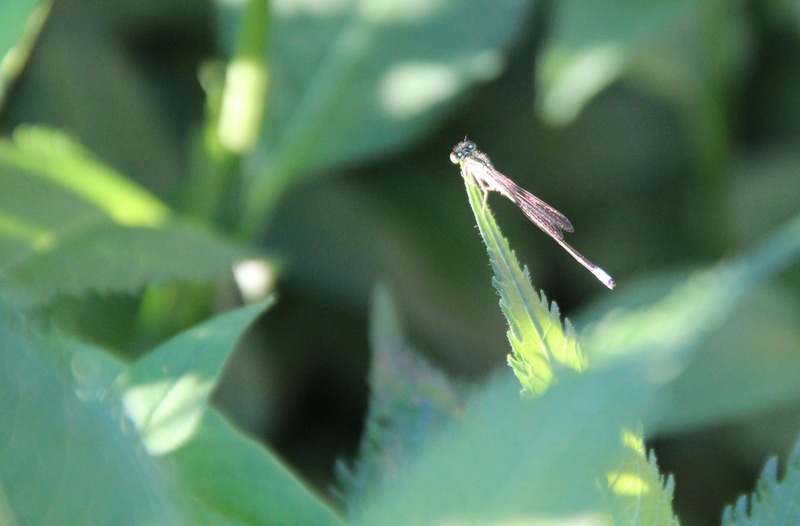 An eastern forktail (Ischnura verticalis) catches late-evening sun in the garden. 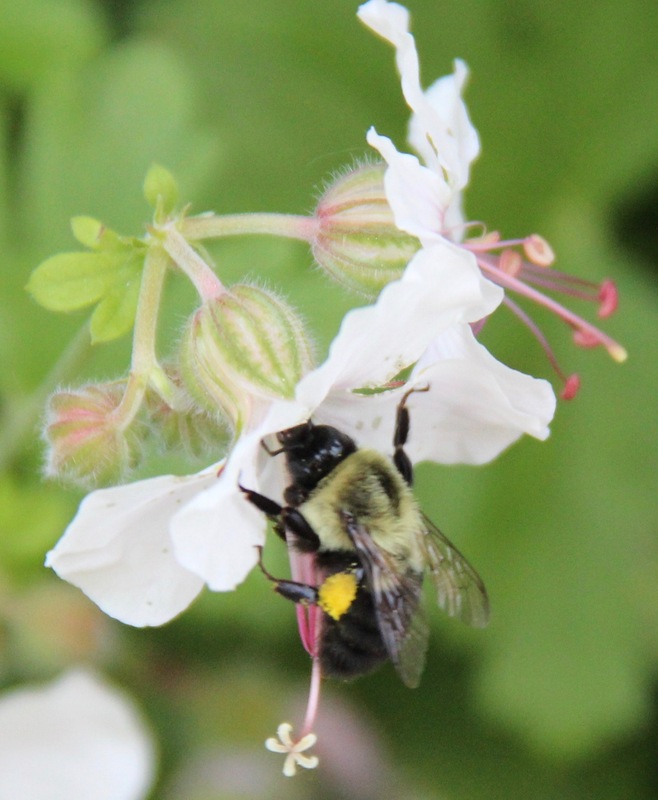 A bumble bee nectars in a wild geranium blossom (Geranium maculatum). 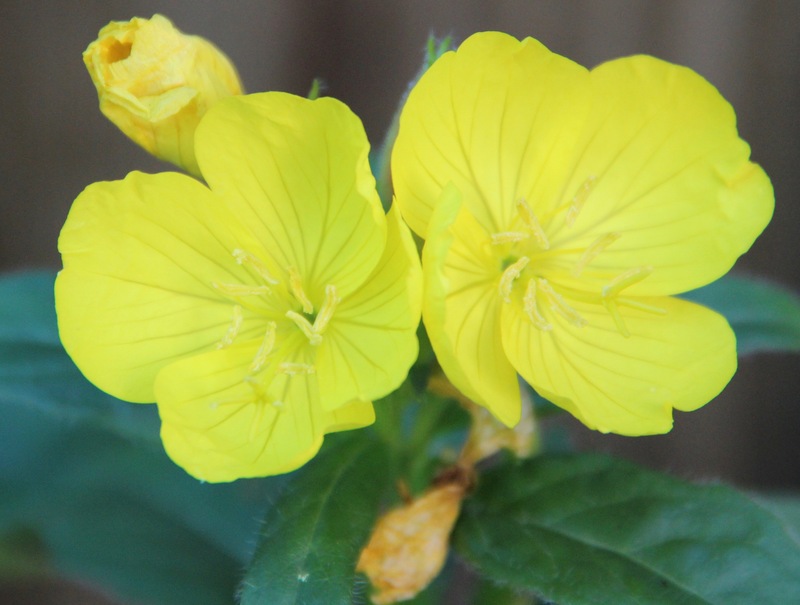 Sundrops (Oenothera fruticosa) belong to the evening primrose family. 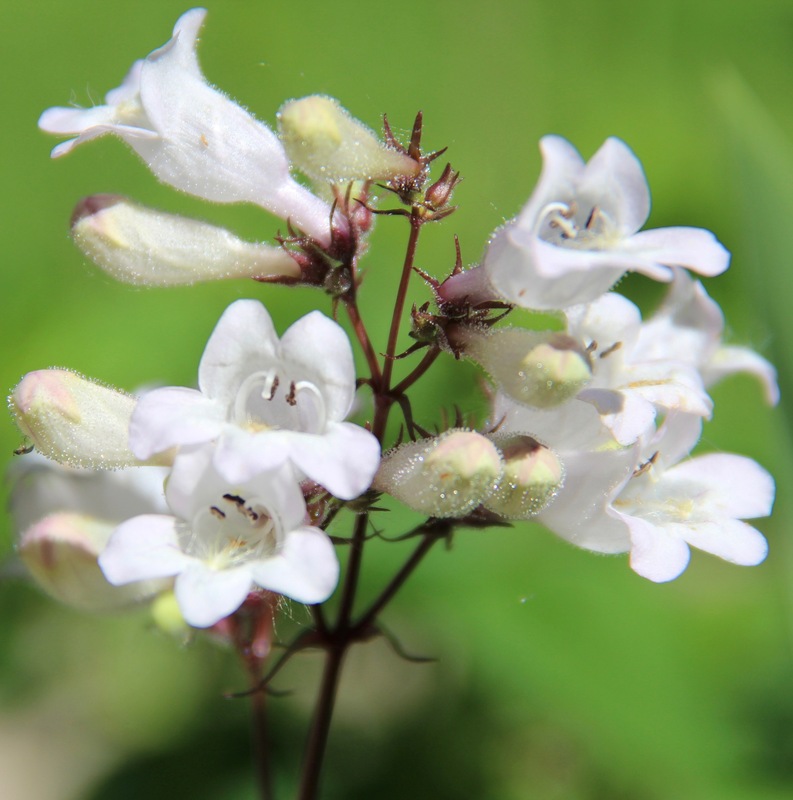 ‘Husker red’ beard tongue (Penstemon digitalis) has maroon stems and leaves. 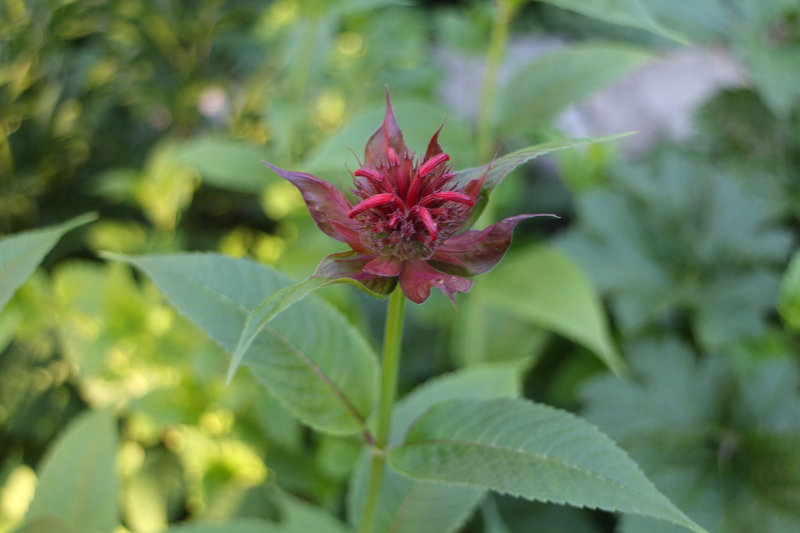 Monarda ‘Jacob Cline’ begins to open. 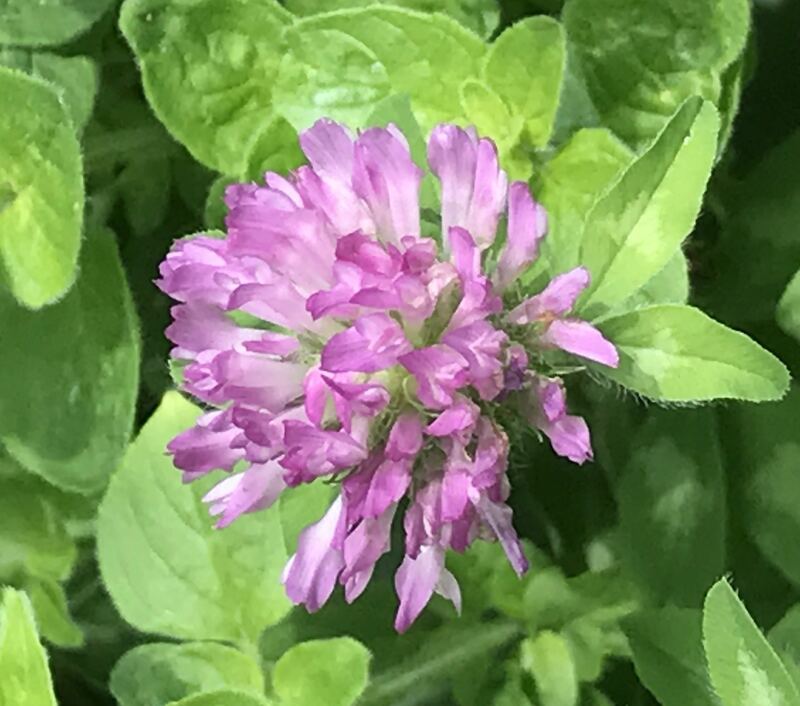 Red clover (Trifolium pratense) is a favorite of bumble bees. 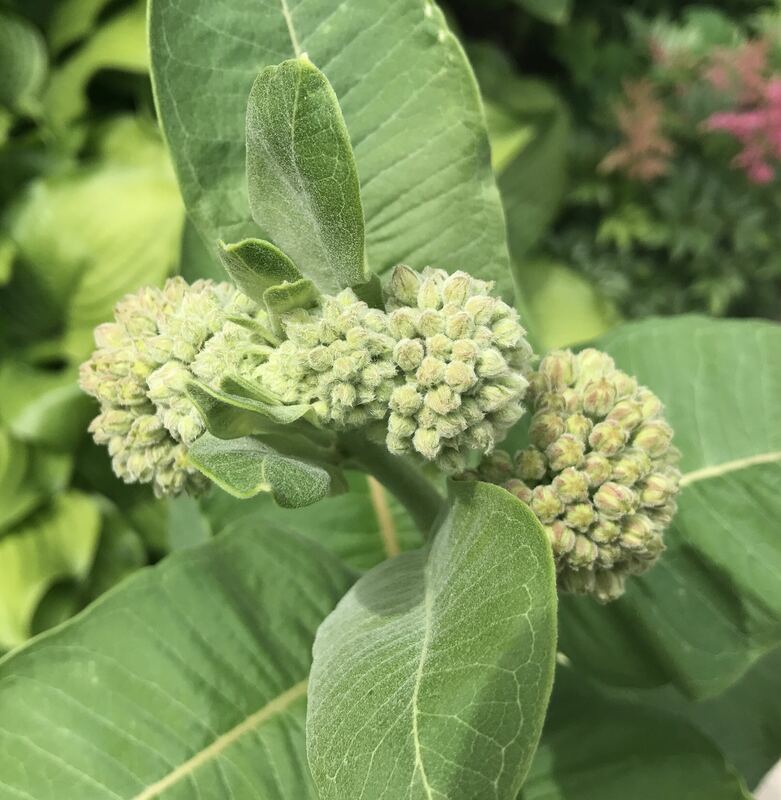 Common milkweed (Asclepias syriaca) buds will soon open to provide nectar to monarchs and many other insects. This entry was posted in Backyard Nature, Garden, Insects, Saint Paul, MN, Summer and tagged Summer solstice. Bookmark the permalink. I so enjoy your posts Beth. Your knowledge of plants and nature is so interesting. Thanks for blogging. Beautiful. Thank you for teaching us and sharing your photos.